As an architectural detail, arched windows can greatly enhance a room’s appeal without calling too much attention to itself. They draw a viewer’s attention upward, instantly giving a room the perception of added height, while also letting more light in which makes a room seem bigger. Graceful and aesthetically pleasing, arched windows instantly add class and sophistication to a room. It is a potent tool in an interior designer’s bag of tricks. I strongly suggest you to visit Shutters for indoor Windows to learn more about this. This type of window can be added to practically any room in the house. Even an overlooked space like a landing can be turned into an attractive and useful space with the light that can be let in. But what kind of window treatment fits arched windows? Curtains seem completely out of place and ordinary blinds are virtually unheard of. Custom-built plantation shutters are the answer. Because they are manufactured according to the specific measurements of a homeowner’s windows, accommodating these windows beautifully. Window treatment manufacturers recognize the appeal of arched windows to a new generation of potential home buyers. A number of them have begun offering creative window treatments specifically designed for arched windows in addition to their regular line of products. Interior designers are more inclined to suggest the addition of arched windows to their clients because they are confident there are products on the market today that accommodate this appealing architectural detail. Plantation shutters are a worthwhile investment. When installed in rooms that are visible from the street, they greatly heighten the curb appeal of a house. Because they are custom-made and are not designed to be uninstalled when a house is sold, potential buyers see this kind of shutter as an attractive added bonus. Homeowners can simply enjoy the subtle way they enhance and complement any room décor. 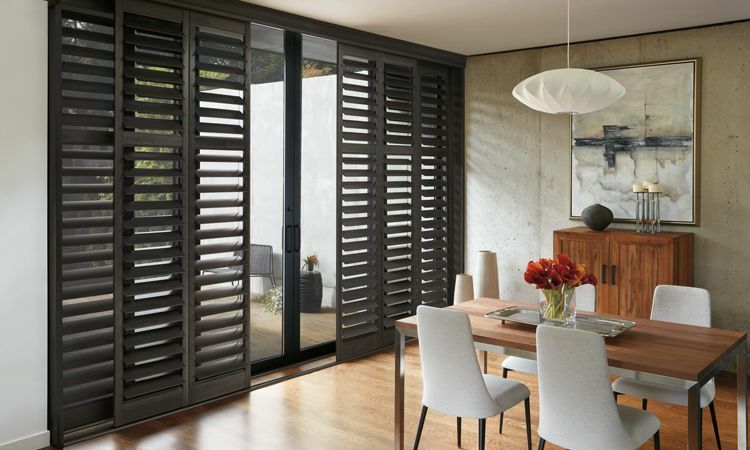 Of course, the fact that these shutters help maintain a room’s even temperature is a great plus. Most manufacturers can install plantation shutters on practically any window in a house. Some creative and adventurous homeowners have been known to install them as closet doors, on French doors, or even as room dividers. They are finding their way into the hearts of builders, interior designers, and homeowners because of their durability, practicality, and wide appeal. And now, with custom-made plantation shutters available for arched windows, the versatility of this attractive window treatment has been further enhanced.